Dr. Amelia Gavin received her doctorate in Social Work and Political Science from the University of Michigan at Ann Arbor, the same institution that granted her an MSW and MPP (Masters in Public Policy). During her graduate program she was awarded the National Institute of Mental Health Dissertation Grant for her research studying depression and birth outcomes among African-American women. 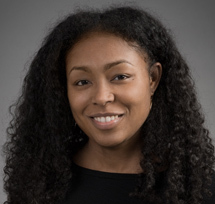 Dr. Gavin became an assistant professor at the UW School of Social Work in 2004 where she continues to teach, conduct research on disparities in mental and physical health outcomes, and serve as the director of the bachelor of arts in social welfare (BASW) program. A committed collaborator, Dr. Gavin’s research is centered within several interdisciplinary institutions including the Maternal and Infant Care Center at the University of Washington Medical Center where she investigates etiological pathways of preterm and low birth weight infants. Her work in health disparities also includes the exploration of how cultural, social and structural contexts factor into differing health outcomes particularly among racial and ethnic groups. Dr. Gavin was awarded the University of Washington Multidisciplinary Clinical Research Career Development Award (Roadmap KL2) in recognition of the importance of her research, and its implications for public health. She currently acts as the principal investigator on the Depression and Anxiety in Pregnancy Study and the Life-Course Multiple Determinant Model for Health Disparities in Pregnancy Outcomes Project.